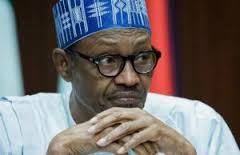 President Muhammadu Buhari for the fourth time in a row failed to show up at the weekly Federal Executive Council meeting. ‎Vice President Yemi Osinbajo presided over the meeting at the State House, Abuja, which started around 11:00.a.m. few minutes after he arrived the Council Chamber. It was the third time Osinbajo would be presiding over the meeting since President Buhari returned from medical vacation in the United Kingdom on March 10. Wife of the President, Mrs. Aisha Buhari, had in a series of tweets, on Tuesday, said contrary to claims, her husband’s health was not as bad as being perceived. Through her tweets on her twitter handle @aishambuhari, she insisted that he has continued to carry out his responsibilities as the President of Nigeria. She had thanked Nigerians for their continued support and prayers. The Minister of Information, Lai Mohammed ‎had, last Wednesday, told reporters that President Buhari was resting and working at home. President Buhari’s Senior Special Assistant on Media and Publicity, Garba Shehu said the President was only obeying doctors orders, hinting he was working from his private residence outside the Presidential Villa. Compared to last week where the venue of the meeting was scanty with only 15 ministers in attendance, Wednesday meeting had many ministers in attendance during opening session. The Chief of Staff to the President, Abba Kyari, was also in attendance. The minister of the Federal Capital Territory, Mohammed Bello and the Minister of Budget and National Planning, Udoma Udo Udoma, offered the Muslim and Christian prayers, respectively.